His claws are deadly, but his mind is even sharper! The son of Wolverine, Daken's drive to achieve his goals knows no bounds: he will stop at nothing to attain absolute power. He yearns for his own bloody empire, sitting on a throne of fear and violence. Playing both heroes and villains as pawns, his betrayals and web of lies have landed his name on some serious hit lists. 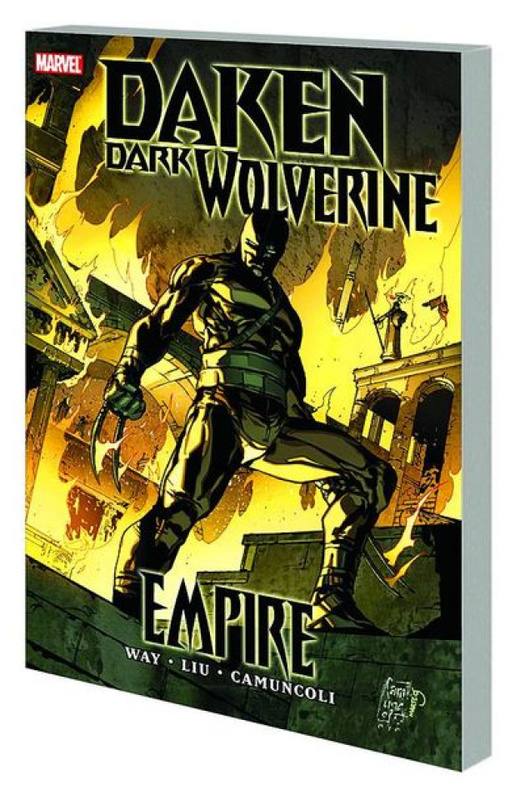 Now, free of his ties to Norman Osborn, Daken's plans can move forward. But the enemies he's made are standing in his way. With everyone out to kill him, who can he turn to for help? Meanwhile, the father may have something to say about the son's evil ambitions. Collecting DARK WOLVERINE #90, DAKEN: DARK WOLVERINE #1-4 and material from WOLVERINE: ROAD TO HELL.